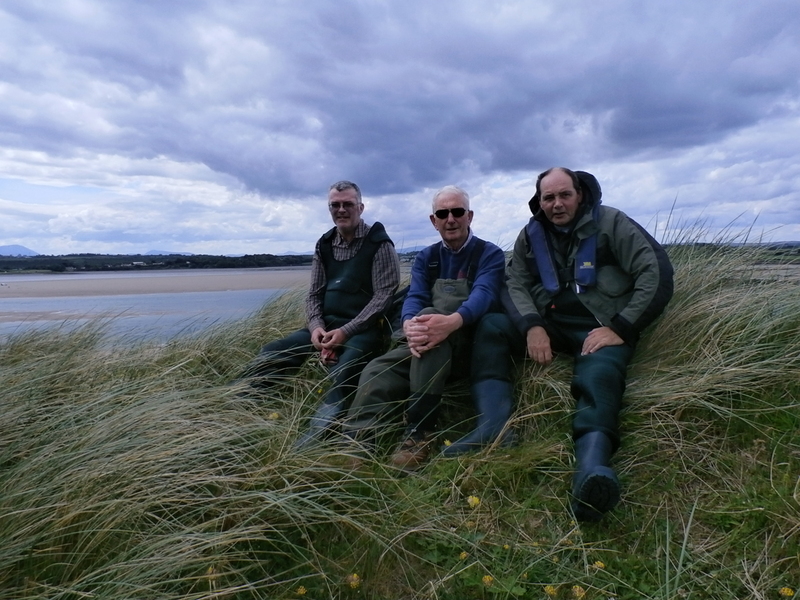 Killala in North Couty Mayo is a pretty little place with windy roads and old stone buildings.It’s a pleasant place to visit at any time, but yesterday we were in Killala on a mission – to catch some sea trout in the Moy estuary. Three amigos gathered on the quay, Ben, Ronnie and yours truely. I have done a lot of estuary sea trout fishing over the years, mainly back in Scotland when we used small flies and silvery spinners, but here on the Moy we would be using natural bait in the form of sandeels to tempt the fish. The basic concept is very simple, a sandeel is mounted on two hooks, a short shanked size 10 single and a size 16 treble. It is then cast out and either allowed to drift down with the current or very slowly retrieved back to the boat. I would love to wax lyrical about the intricacies of this method but there are none. Just pop a sandeel on the hooks, cast it in and let it drift away on the current. If you get a bite open the bail arm and let the trout get a good hold of the bait before striking. A light spinning rod and 6 pound breaking strain line are all you need. 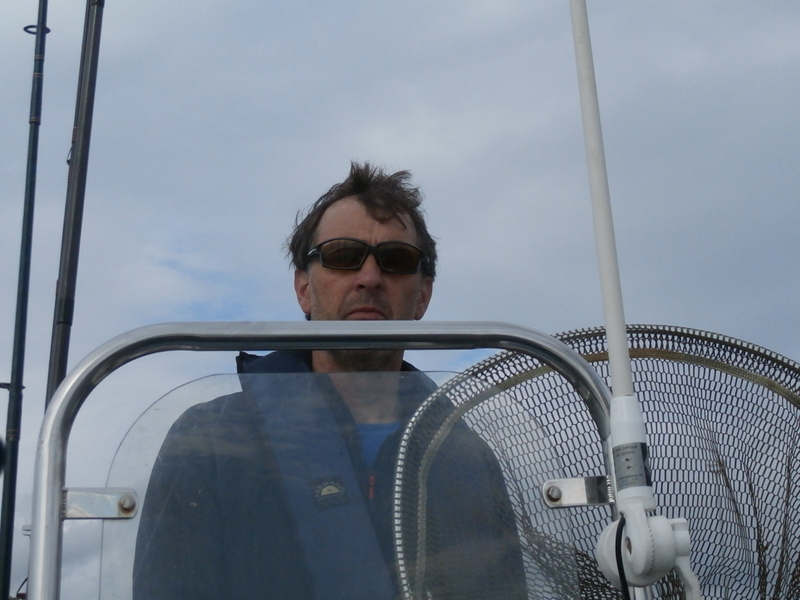 We had booked a day with Malcolm and as soon as our gear was stowed on his boat we headed off down the channel and into the bay. Within 10 minutes of casting off from the harbour we were fishing. With so much water to pick from local knowledge is vital for success. 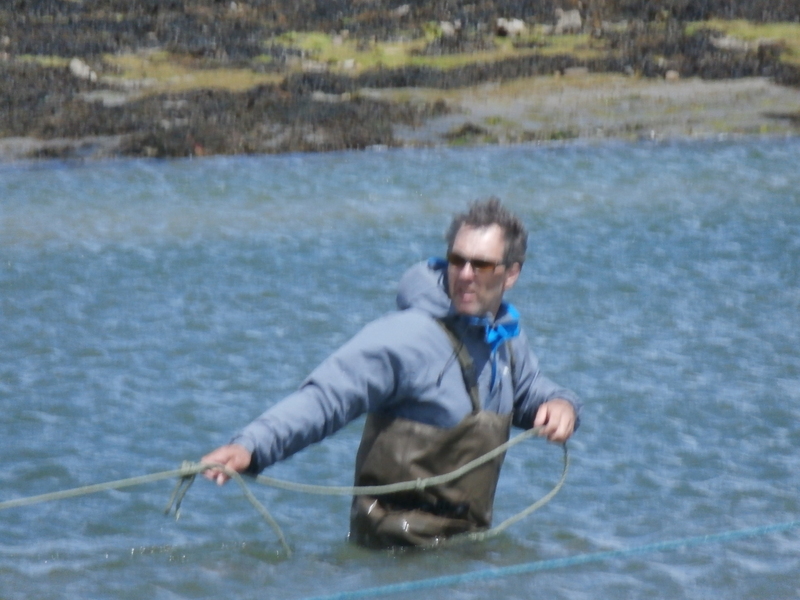 Just finding the trout is the hard part but Malcolm has years of experience and he soon put us over some feeding sea trout. Sadly our striking left a lot to be desired and we could only manage a couple of trout for the whole day despite a good number of bites. 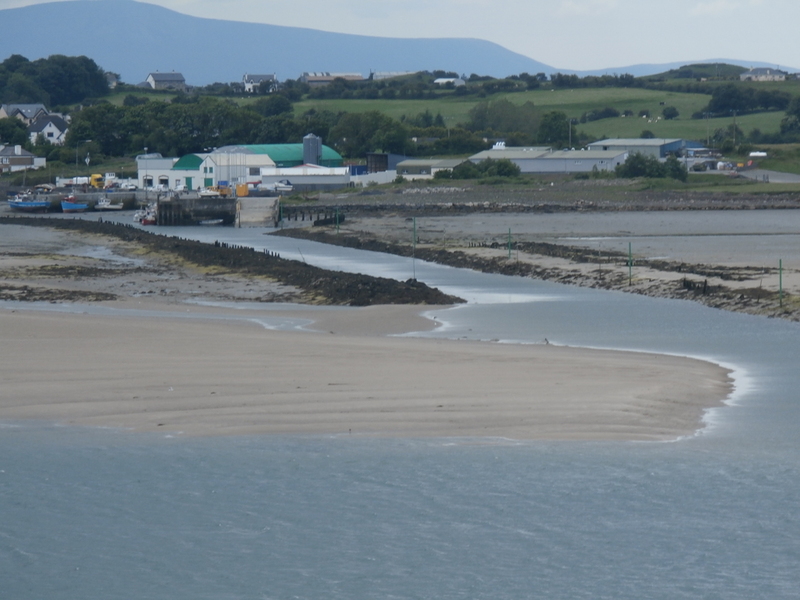 The tide fairly rips in and out of the estuary as there is an average 4 metre difference between high and low water. We had started two hours after high water so the water was flowing out of the estuary in the morning and back in again in the afternoon. our biggest problem was weed – that stinking, soft brown stuff which clogs your gear and is a royal pain to remove. It was not too bad in the morning but the afternoon fishing was all but halted due to the smelly stuff. Spinning does account for sea trout too and a small ‘krill’ type lure does well. Malcolm finds that spinners get a lot of follows but the ratio of hook ups is very low with most of the trout simply following the lure without taking it. We had fly rods with us hoping we would have a chance to chuck some fluff at the fish but alas this was not to be. Fishing ceases at high and low water when the flow stops altogether. We used that time to have a stroll on Bartra Island, admiring the wonderful view and taking some photos. 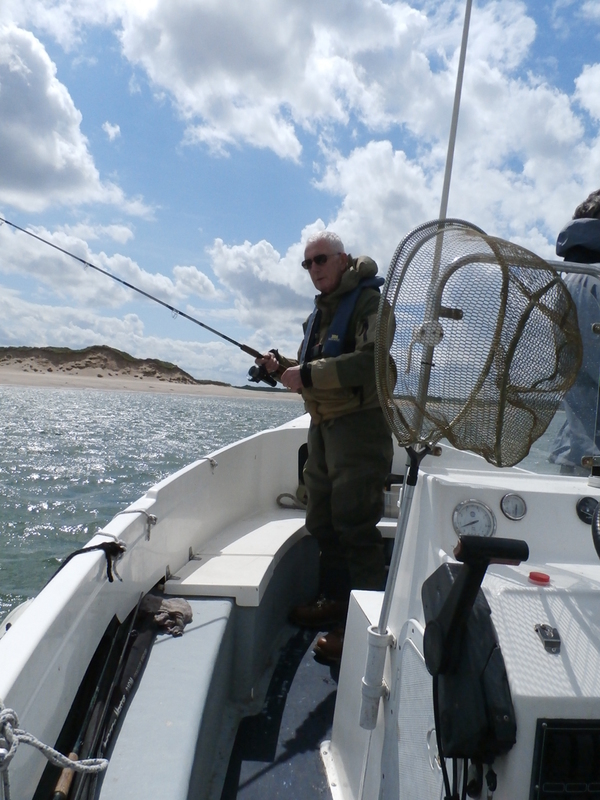 We also caught some sandeels for bait in the afternoon, Malcolm showing us how to handle the small net in a quiet backwater close to the harbour. 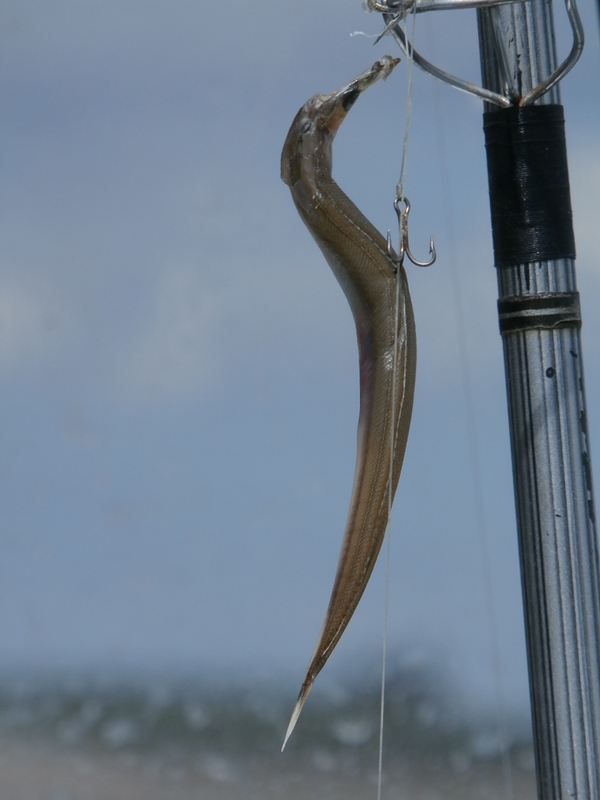 There were an awful lot of very small eel and only a few mature ones but we got enough to keep us supplied for the afternoon session. 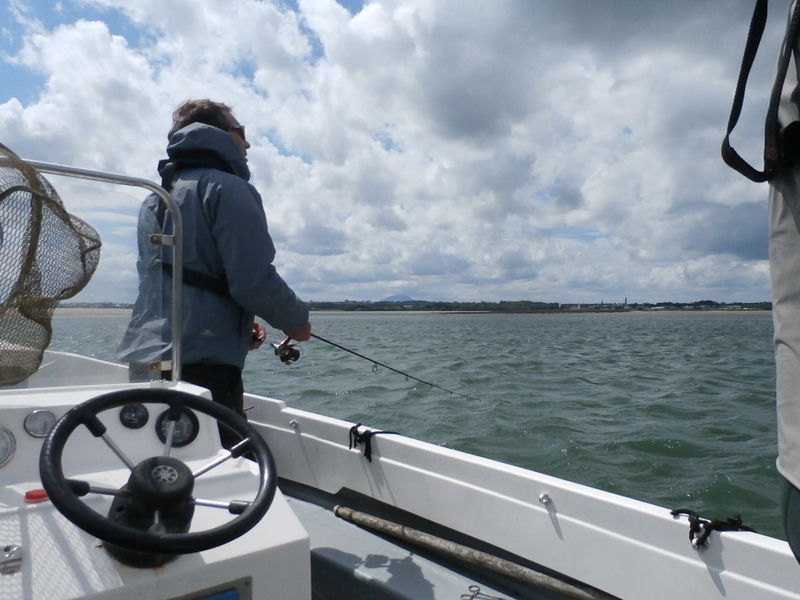 Once we had sorted out the bait it was time for a short break and we nipped over to Bartraw Island. The island changes shape depending on the wind and currents and the view from the top is breathtaking. After admiring the scenery for a while it was back to the fishing again but despite numerous follows and bites we could not add to the 2 fish we had caught in the morning. 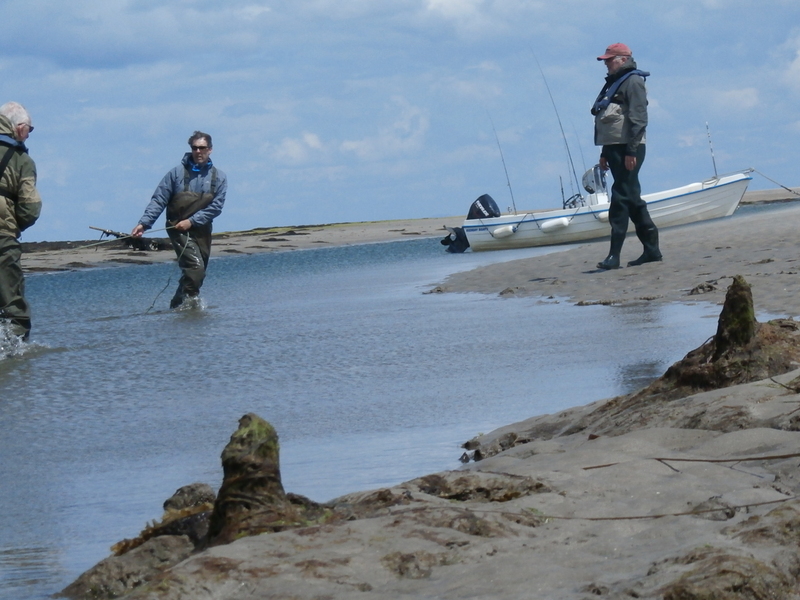 Typical of sea trout – they can be impossible to catch one tide and yet throw themselves at any old lure the next.